Medway Council consists of 55 councillors who are elected every four years. Councillors have responsibility for aspects of local matters including housing, local business, planning and schools. Colour denotes the highest-polling candidate in the most recent election in each ward. If there are councillors from another party in the same ward, they are denoted by a star. Candidates usually stand for a political party (although some stand as independent candidates) and, if elected, sit in that party's political group. A party requires two or more members to formally constitute a group. A political group requires 28 members for an overall majority on the council. If no group has more than 28 members then the Administration is classed as "NOC", or No Overall Control. Prior to 2003, when there were 80 councillors elected to Medway Council, a political group required 41 members for an overall majority. 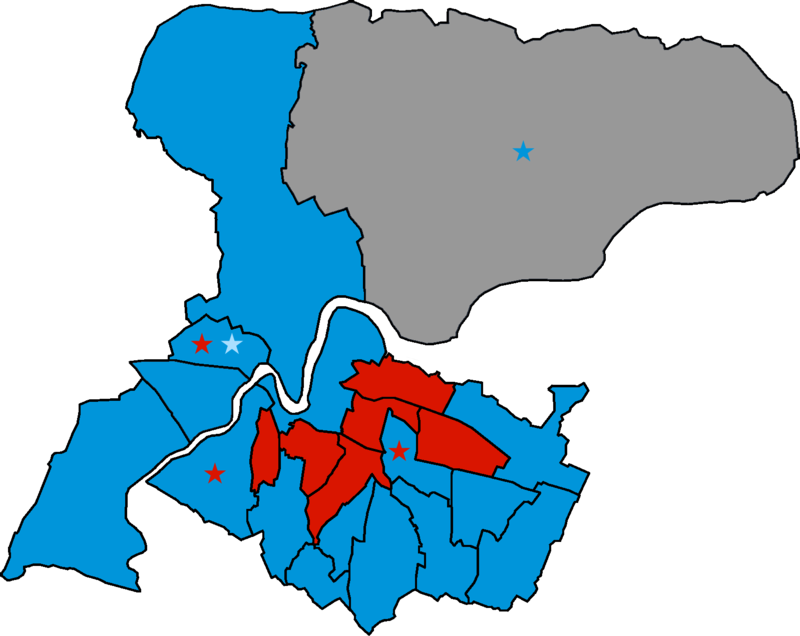 The 2003 election was the first time a single political group had an overall majority on the council. In addition to periodic meetings of the full council, councillors may sit on specialist committees which have delegated authority to take decisions or hold the Council's executive branch, the Cabinet, to account. To find out more about the Cabinet and committees, including their current members, please go here. Allowances information shown for the last five years only. To see a full history since 2005, click here. Attendance records are only available from February 2010 onwards. Click on a council term to see individual attendance records for each councillor. Recorded votes are only available from December 2001 onwards. Click on a council term to see the full list of recorded votes, whether they were carried or lost and how each councillor voted. Click on the name of a ward above to see councillor history and election results. To see historical information for old wards, please go here.